Designing your banner can often be difficult. Don't worry we can help you. If you're unsure but have a design the best thing is to Email us and we'll take a look. We can often sort out minor changes for you. please email the artwork to us. You can find our contact details by clicking this text. The following information is meant for everyone however, if you're struggling, unsure or need more help please call us. We're friendly and here to help you! Please convert all fonts to outlines or curves. Vector files can be submitted at any size provided the design is proportionate to the banner size you would like printed. Raster files & images are pixel based images,. Depending on the resolution the image may become blurry as it is enlarged. We advise you to zoom in on the design hard to see if the quality of images holds or if it pixelates. Thumbnail sized jpg and gif. files are not at a high enough resolution to be used on large prints like banners. A good indication of raster quality is to look at the megabytes of the file. Large files of several MB’s are good. Kb files are poor. If you are unsure or not able to provide us with a good quality images or logos contact us for help and advice. We are on your side and willing to help sort problems out to your satisfaction. • No bleeds please. This is unusual to most in the print industry and graphic designers but is how we require your design. • Set up size proportionate to the size banner you are ordering. Please contact us for further information if you are unsure. • To prevent text or images having an eyelet punched through, you should always allow 30mm clearance around the edge of your design. Exact sizes cannot be guaranteed as banners can fluctuate slightly during the process. Temperature will also affect the size of the banner as the pvc expands and contracts. 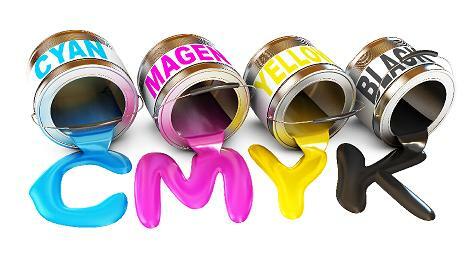 All our PVC and mesh banners are printed using the CMYK process. We do not print using RGB so it’s worth checking before sending your banner design to us to ensure colour perfection. We hope the above helps answer your questions. If you need any further help, please contact us by email or phone. Subscribe to our newsletter here. We promise we'll only send you an occasional newsletter and discount vouchers that can be used when ordering a banner.